Want to learn about an easy and efficient fundraising idea? We know the hardest part about fundraising is starting! 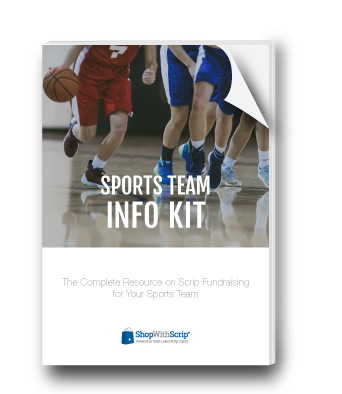 That's why we put together this short Sports Team Scrip Fundraising Info Kit to give you what you need to know in order to get the ball rolling. Scrip is helping us put two boys through high school sports. The expenses for camp and uniform fees have been greatly reduced by shopping through ShopWithScrip. I love Scrip! It's a great way to earn money for our sports program without asking our friends and family to purchase anything more than they already are purchasing without a scrip card. Love shopping with scrip! Bought stuff to remodel our kitchen and raised funds to pay for my son’s sports at the same time. What a win-win! So easy to use! Wish more people would try it!